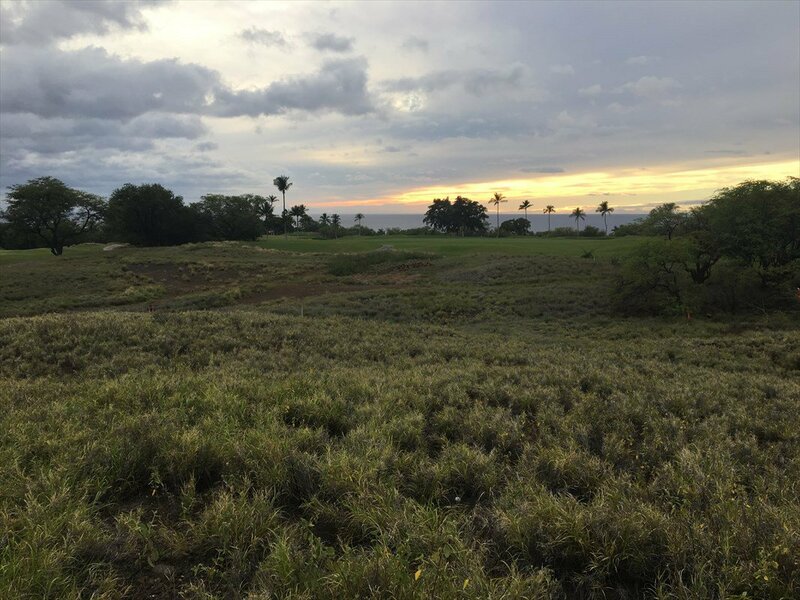 The High Bluffs is an elegantly designed nine-lot subdivision that sits below the highway between the Mauna Kea Beach and Hapuna Beach Hotels. 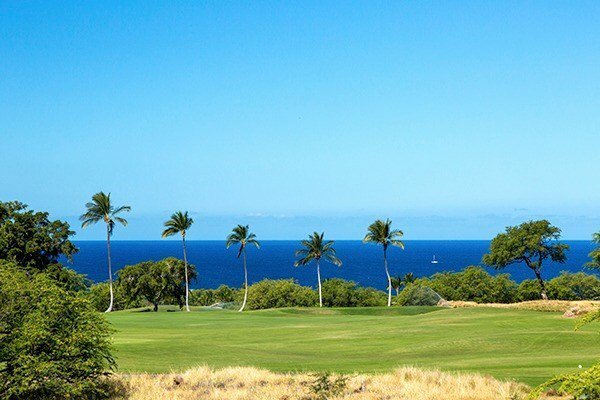 These lots feature spectacular panoramic ocean views coupled with the lowest maintenance fees at the Resort ($561/mo.) 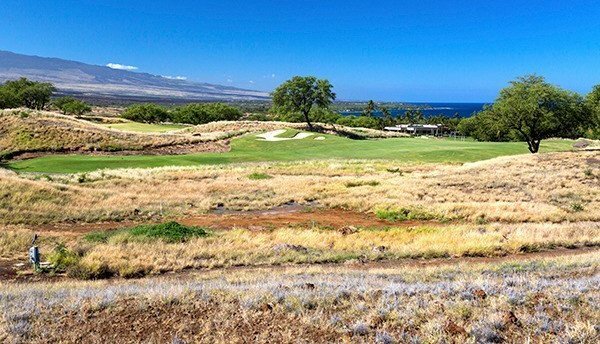 Perched on a knoll overlooking the Mauna Kea golf course 17th hole to the North and the Hapuna course's final hole to the South, Lot 2 has views of the sun setting into the ocean year-round. 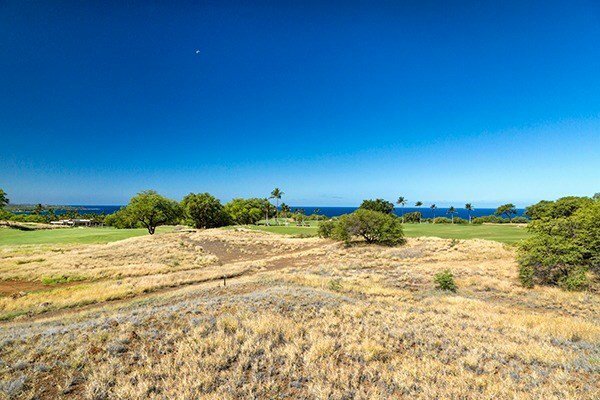 With 320 linear feet fronting the golf course, High Bluffs lot 2 may well have the widest frontage of any non-combined lot in the Mauna Kea Resort and perhaps on the entire Kohala Gold Coast. It is a pie-shaped lot with the wide side of the pie facing the view – virtually impossible to find in resort development. The configuration allows an owner to build a single-story home with every room facing the ocean views across the golf course. High Bluffs is taking shape as a community of fine resort residences. Homes have been built on lots 5, 6 & 9. Homes are nearing completion on lots 1 & 7. That means few remaining opportunities to design the home you want. 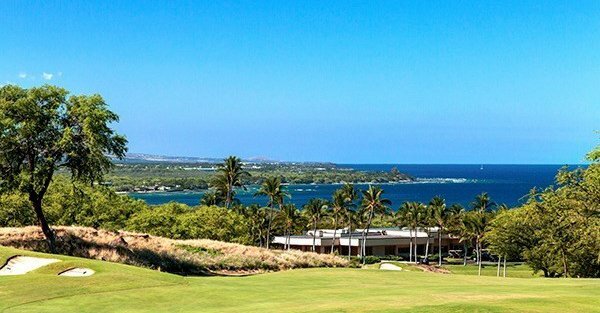 High Bluffs owners can purchase membership in The Club at Mauna Kea with a choice of four programs offering different levels of discounts on amenities. 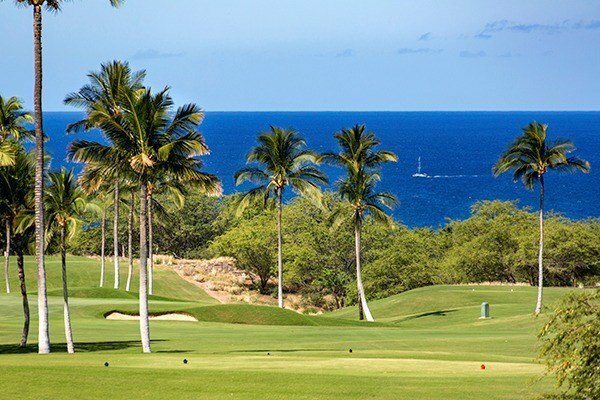 Enjoy golf, beach, tennis, fitness, and owner advantages at both hotels.